Portable toilets are toilets like no other. They have their own weird and wonderful waste-disposing ways. And, believe it or not, those ways are relatively simple. It might seem like a mystery to most, but portable toilets offer a simple and direct system of waste delivery. So let’s delve the depths – metaphorically! – of portable toilets, and take a look at exactly what forces are at play. By doing so, we hope to put to bed the ever-present question of how portable toilets work! First, let’s look at the core components of all public toilets: without these, they wouldn’t work! 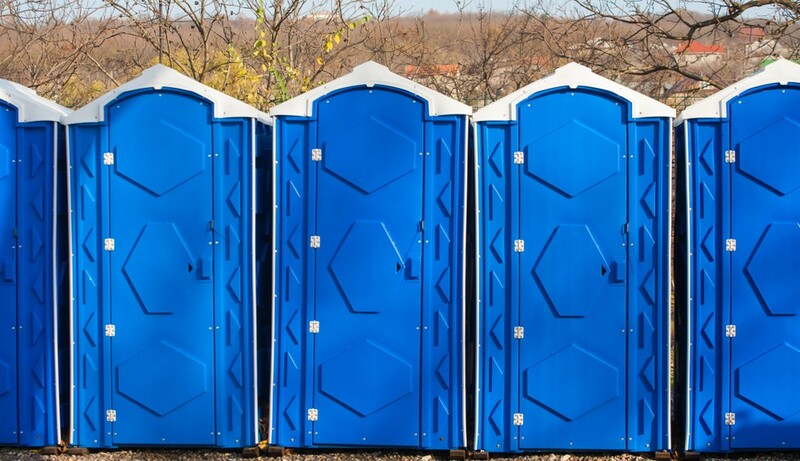 To truly understand how portable toilets work, it’s important to know what they’re made of. Normally, there’s a plastic exterior, with an elevated floor inside, on top of which the toilet is placed. At least, that’s what you can ascertain from using one. But what about the interior; surely that’s more complicated. Well, not really. If you were to break portable toilets into their five functional components, they would be toilet seat, holding tank, flushing mechanism, pressure system, and water tank. To work out how they interact, read on! We won’t go into how the toilet seat works; we’re pretty confident you’re on top of that. So let’s dive straight into the flushing mechanism. The flushing mechanism is responsible for two things: getting waste out of your sight, and the almighty noise that follows! The flushing mechanism is really a combination of a water tank and pressure system. With the pressure system working, water is able to circulate through the water tank, and exit with enough force to move any waste from the toilet bowl to the holding tank. Because it’s a pressure operated pump, there’s a little more noise than a conventional toilet. The water tank: hygiene is everything, and portable toilet water tanks give you just that! Of course, the water tank in all portable toilets is hidden. That’s why a lot of people don’t know that many portable toilets actually have one water tank. This tank delivers water to the flushing mechanism and also services the taps that are fitted to all good portable toilets. Our portable toilets are the most hygienic available and for this reason only fresh water is used in both the flushing mechanism and the hand wash taps. While we would advise against drinking this water, it’s perfectly suitable for washing hands. Speaking of the holding tank, what is the story there? The holding tank is where all the waste ends up. Sounds disgusting, right? Well, there are a few little extras that keep things civilised down there. The most important is the famous portable toilet chemical. That chemical suppresses odours and reduces bacterial growth. Essentially, that means the contents of the holding tank are generally pretty benign. You certainly wouldn’t want to get too close, but by the same token, it’s not going to spread the disease or anything like that. After all, portable toilets are all about sanitation! Finally, let’s take a look at where we come in: the emptying process! Because portable toilets rely on holding tanks, they’re not a set and forget sanitation solution. They require maintenance. But that’s far from your problem – we take care of all the maintenance required for your portable toilet. That includes the very important part of emptying them. All you need to do is keep the inside clean though we do offer cleaning the inside of the tank as well. All of our portable toilets are serviced fortnightly. For all of your portable toilet needs, get in touch with Dinkum Dunnies today!